The Quilter's Trunk is proud to be Chicagoland's newest quilting, sewing and embroidery boutique, featuring Baby Lock and BERNINA sewing machines and Koala sewing studios. We carry all major lines of high quality quilting fabrics and sewing notions, including AccuQuilt cutting systems and Sew Steady extension tables. Check out the virtual tour of our beautiful shop below! Click anywhere on the picture below and use the white arrows to navigate around. Then, come see us in person! Baby Lock is known for consistent quality, user-friendly features and state-of-the-art technology. The brand offers a wide range of products from entry-level machines to fully-computerized quilting and embroidery machines. For over 50 years, Baby Lock has been dedicated to the love of sewing by creating machines for sewing, embroidery, quilting and serging—all with ease-of-use, high quality and a touch of elegance. In addition to easy-to-thread sergers and machines for sewers of any level, Baby Lock enhances the love of sewing with an extensive line of sewing supplies including feet, accessories, software and stabilizers. BERNINA has been one of the world's leading sewing and embroidery machine manufacturers for more than 125 years. The Swiss family-owned company's products are synonymous with innovation and precision. Above all, they are known for their durability. Passion, precision and discipline produce top machines and accessories. You have a passion for creating clothing, quilts or textile art. And BERNINA has a passion for creating machines that fulfill the highest quality standards which allow you to put your creative ideas into practice. All Koala Studios are beautiful in their design and appearance and are built with the best materials and utmost care, providing a lifetime of enjoyment. They are all custom made right here in Chicago. Studios are completely customizable with several height, finish and storage options. There are many different size cabinets to fit any sewing room and sewing machine. And don't forget the amazing SewComfort chairs - the most comfortable sewing or work chair you will sit in! While you are considering a machine, why not take a look at a Sew Steady extension table as well? What a great and affordable way to extend your work area. Tables come in a variety of sizes and are custom cut to your machine. Just tell us what machine you have (any brand, not just Baby Lock or BERNINA) and we will order the table of your dreams for you. TQT is proud to be a Signature Dealer for AccuQuilt products. We will match any offers on the AccuQuilt website. TQT offers outstanding education and support with this fabric cutting system that you cannot find online. Stop in today and see what all the buzz is about! The world's best design library is at your fingertips! 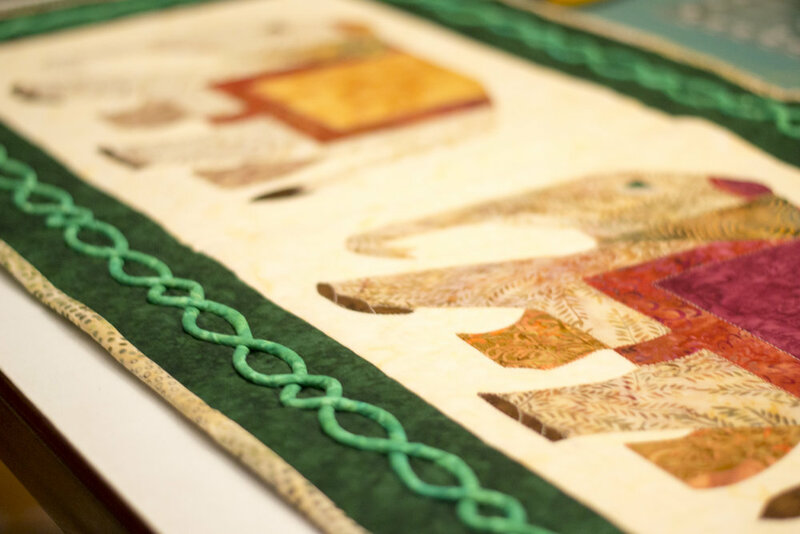 We have partnered with Embroidery Design Studio to provide you access to tens of thousands of high quality embroidery designs, including the complete OESD catalog, from the comfort of your home, 24/7/365! To get started, simply click on the Embroidery Design Studio butterfly logo above.